Paris. The city of love. It’s a place that everyone around the world knows, but when I came to visit for the first time I wasn’t actually sure where to go or what to see. Since then Eurostar has given us a quick route right into the city centre and whilst I’m far from being a total expert I do at least have a good idea of my top places to visit. So, why not set yourself up finding vacation rentals in Paris and then head off, map in hand, to see what this European capital has to offer. 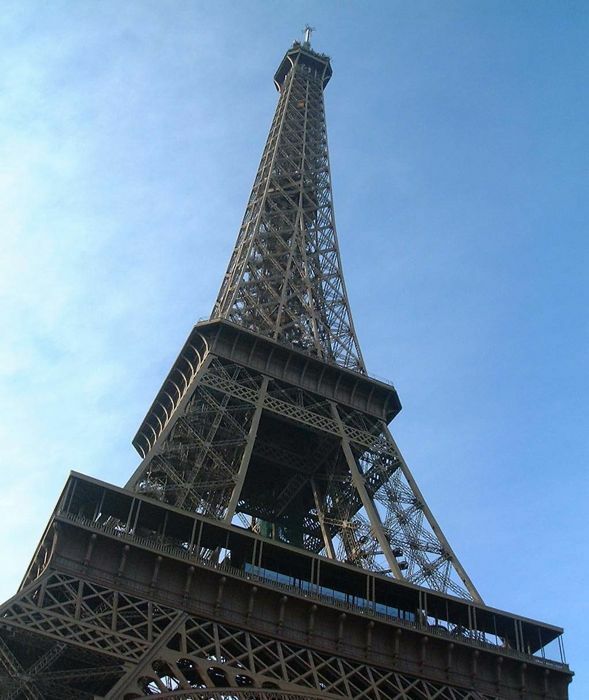 No trip to Paris is complete without a visit to the Eiffel Tower. The country’s most famous landmark and something that you see on so many souvenirs and well worth the trip to the top for the fantastic view that it gives you across the whole of the city. Visitors can choose to either take the lift all the way to the top of the tower, or if they are feeling energetic the other option is to take the stairs to the second floor and then the lift the rest of the way. The later being the option is you want an excuse not to have to visit the guy when you return from your trip! There’s more than just the Mona Lisa to make a visit to the Louve another must when you go to Paris. With her smile that follows you around the room, there is no doubt that the Mona Lisa is a wonderful work of art, and the queues to look at the picture show you that, but the museum holds so many other wonderful pieces too. The architecture of the Louve is also worth seeing for yourself. This former royal palace located on the Right Bank of the Seine is not only the world’s largest art museum, but also a historic landmark in Paris. The Louvre Palace was originally built as a fortress in the late 12th to 13th century but now, alongside original architecture sits the Louvre Pyramid, finished in 1989 to cover the new entrance in the main court. As with many pieces of modern architecture, when it first opened it had its critics, but the elegant design means that with time the pyramid has become an accepted and loved part of the Paris landscape. One of the finest examples of French Gothic architecture in the world, tourists flock to visit Notre-Dame and it’s easy to see why this UNESCO world heritage site is so popular. The cathedral is also the mythical setting of Victor Hugo’s novel The Hunchback of Notre Dame and provides a perfect backdrop to this fictional great. The gothic cathedral was one of the first in the world to incorporate flying buttresses. They may not have been in the original design (as the thinner walls around the choir and the nave grew taller stress fractures began to appear, meaning they became necessary) but gothic architecture fans still go to absorb its majesty, and see the gargoyles (and other chimera, as apparently the term gargoyle only refers to ones that carry water) that adorn the outside of the building. They have been watching over Paris since the cathedral was built. The cathedral is free to enter, but there is a charge to go up the towers. My first sight of the Centre Georges Pompidou was in a French text book at school when I was about 13. There was a whole section on the Pompidou Centre and how much everyone loved it for being so quirky. I fact the centre was victim of its own success. Built in the 1970s, during the first 20 years that it was open it attracted over five times more visitors than it was designed to cope with. With all the building services on the outside, the centre was described as having turned the architecture world upside down and people flocked to ride the escalators for themselves. A three year old refurbishment that ended in early 2000 means that visitors can now only ride the escalators if they pay to enter the museum inside the centre, but this is still very much worth doing. If you fancy just taking in the architectural sights from outside then the Place Georges Pompidou in front of the museum is always full of street performers of some kind, and there are some lovely little bars and cafes to enjoy whilst you people watch. I have to put my hands up and say that I’ve not yet visited the Paris catacombs, but it has been on my list of must visit places for years, and friends keep recommending it – despite its rather dark side. This underground warren of tunnels contain the bones of some 6 million Parisians that were moved there back in the 1770s when the city’s cemeteries started to overflow. The catacombs were originally part of Paris’ ancient stone mines (used to build much of the city) and many of the remains were moved there from Paris’ cemeteries in covered wagons during the middle of the night. There’s something fascinating about death and the dead and the catacombs are definitely what I would call a different tourist attraction. However, as long as you’re fine with being surrounded my millions of bones and skulls, they’re an important part of Paris and Parisians’ history. I love a bookshop. Especially one with twist and turns and the feeling that you could hide away in there all day. That’s exactly what you get when you go to Shakespeare and Company. This English bookshop has been in its current location in the 5th arrondissement since 1951 and for any book lover, stepping inside is an absolute delight. The shop layout (where photos are unfortunately not allowed) you are taken through the building, finding yourself in a series of rooms and passageways. When I visited there were people who looked so at home in there that I am guessing they spend hours and hours sat reading or writing inside the bookshop. I even came across an old upright piano in one room which someone sat down at and started playing. It was simply magical. In 2015 a Shakespeare and Company cafe opened next door. Serving mainly vegetarian food, with vegan and gluten-free options, it’s the perfect place to fuel yourself for a day long session in the bookstore.